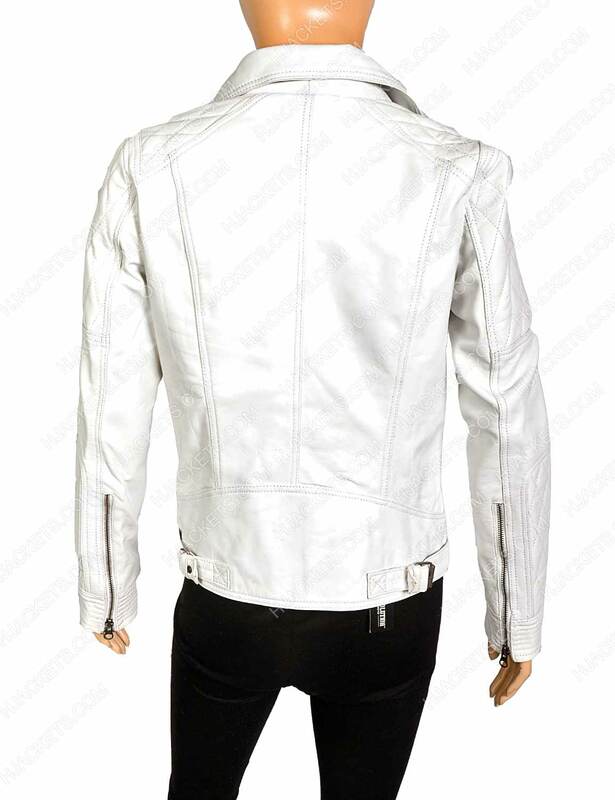 If you want to take on the riveting bold appearance to imitate dominating style in the party, then this Womens White Motorcycle Jacket is all what you need to get that enchanting presence on and to make your outlooks indifferently smart among others. It is fashioned with the genuine leather material which allots it a smart riveting appearance among others. This Women Motorcycle White Leather Jacket has been confined with the lapel collar on its neckline, and has been crafted with the nifty side waist zipper pockets for holding precious capitals within.